From the sound of rolling waves to the clarity of the air; oceanside tranquility is not to be misjudged. There is an aura of tranquility that is exhibited by the oceanside where we can allow our hearts sooth and our thoughts drift. It makes for the utmost setting for romance, from the sound of rolling waves to the clarity of the air; oceanside tranquility is not to be misjudged. 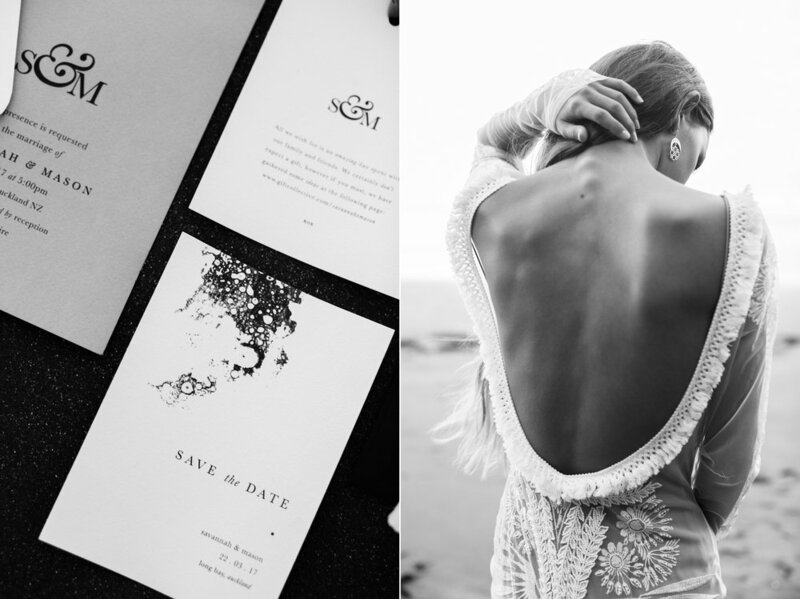 Bek Smith and her creative team take us to Long Bay for their latest styled shoot. It combines this tranquility with the unknowing sense of adventure that the ocean brings. With fabric flowing as free as the wind, and where styling elements are drawn from the untouched landscape, yet enriched with a touch of class and elegance, this bride runs free, her mind is clear, her adventure is unknown. Isn’t that the beauty of marriage? Embarking on an adventure, diving into the depths of the ocean. In the end it’s worth it; adventure keeps us alive, the unknown keeps us anticipating, and love is what gets us through, and love is what conquers all. Discover more of Bek Smith and her divine work on Mr Theodore clicking here.